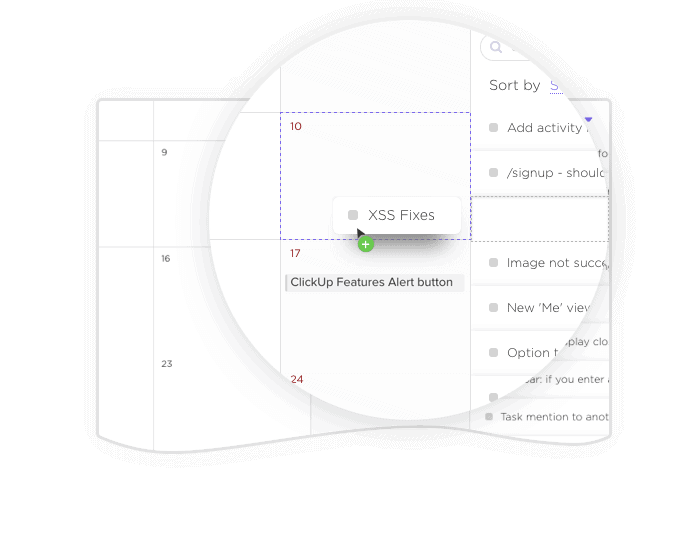 The perfect integration to better manage your team’s timelines, deadlines, and overall schedule for your Projects and Tasks! Instant, two-way bidirectional syncing with Google Calendar. Tasks with a due date, start date, and/or time in ClickUp can automatically be added to as many Google Calendars as you connect. You can also specify which tasks to sync based on specific Spaces, Projects, or Lists. ClickUp, provides a true 2-way sync, so changes you make in one platform are instantly reflected in the other. Google Calendars are the best way to gain a traditional time view of all tasks at hand within the ClickUp app. Instantly get an overview of your task list for the day, week, or month! Organize big projects on a Calendar and start crushing your tasks with time to spare. Block off time for your tasks, and stop letting distractions interfere with productivity. Keep everything on the calendar for a little peace of mind. Start syncing your Calendar now! Open the today view to investigate your day's agenda. Open the week view to get a clear layout of each day. Enable to the Google Calendars integration to ensure that everything in your ClickUp Calendar is synced in Google. Change the day your week starts on along with the way your date & time appear!